Suddenlink reports, once again, a vandal cut off Internet, phone and cable service for 10,000 customers in Arcata, McKinleyville, Trinidad and Big Lagoon overnight. 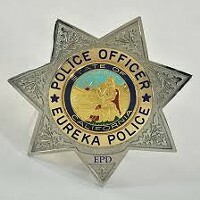 The company recently doubled a reward -- to $10,0000 -- for information leading to an arrest and conviction of the serial cable-cutter, and hired the private investigation services of Eureka's Cook & Associates. Repairs are expected by this evening. 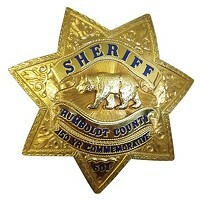 On 4-17-2013, approximately 4:15 a.m. the Humboldt County Sheriff's Office was notified of another vandalism to Suddenlink's Fiber Optic Cable that had occurred in the area of Lorenz Lane and Old Arcata Road, Bayside. The damaged cable was cut. The unknown suspect(s) used a culvert pipe to stand on to allow them access to the elevated cable. The suspect(s) are believed to have used a cutting instrument to cut the line. Suddenlink is estimating the damage to the line costing at least $25,000 and the line will not be repaired for a minimum of eight to ten hours. To date there have been five vandalisms to Suddenlinks Fiber Optic Cables. Total estimated damage by Suddenlink to repair the lines is now estimated to be at least $75,000. 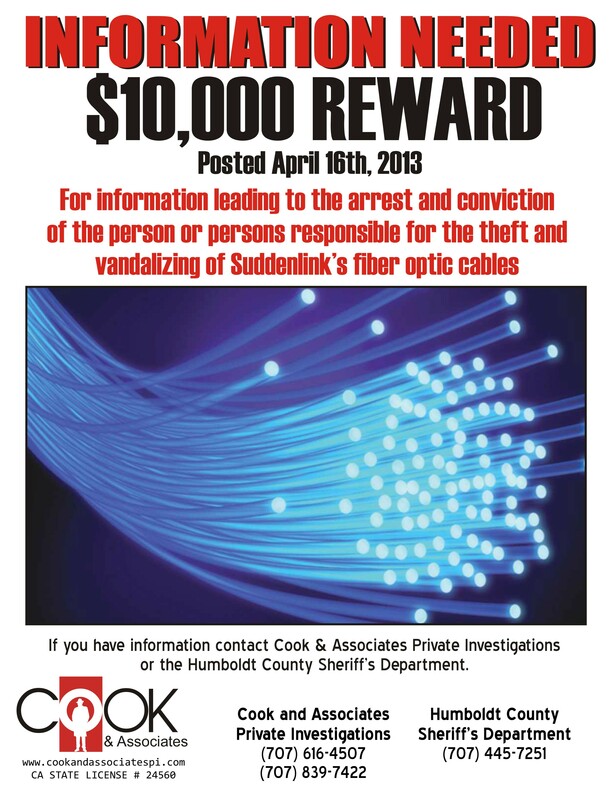 This is an on-going investigation and the Sheriff's Office is actively working to identify a suspect or suspects in these crimes and to stop further vandalisms and interruptions to Suddenlink's services. Detectives have interviewed several people regarding this crime. Anyone with information for the Sheriff's Office regarding this case is encouraged to call Detective Kirkpatrick of the Sheriff's Criminal Investigations Division at 707-268-3640 or the Sheriff's Tip Line at 707-268-2539.